This was a police bike back in Texas hence the high mileage. Generally police bikes are well sort after due to their great service life. The engine is great and still has plenty of years and miles left in it. Original Harley cover. Harley lowers for front guards (1 slightly torn but still works). I also reserve the right to withdraw this ad as I have advertised elsewhere. Avon venom tyre on front. New rear wheel with Dunlop tyre. 1584cc V Twin. HARLEY HARD SADDLEBAGS. Runs and starts as well as a new bike would. Willy G Skull on covers. Vance and Hines Big Radius. Genuine Harley Davidson back rest. Genuine Harley Davidson luggage rack. Genuine Harley Davidson wind shield (useful for touring). 25,050 miles done. Willie G Brake pedal. And advised. MAY >>>>PX. Superb Condition. 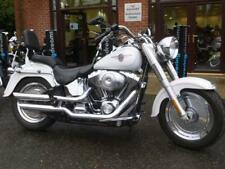 Good condition for mileage and year, very little pitting on the front forks. 37800 miles. etc - over £5000 in total full list can be supplied if required. LED accent lighting. All extras are official HD parts. New battery fitted 6 months ago. If needed I also have a removable HD luggage rack. Also a Stand/Lift to adjust belt/rear brakes etc - or just for cleaning. I will put full years mot on for the new owner & will replace all oils as I do regularly. ANNIVERSARY ROAD KING IN EXCEPTIONAL CONDITION DESIRABLE CARBURETTOR MODEL STAGE ONE TUNED WITH MIKUNI CARB QUICK RELEASE SISSY BAR AND WINDSHIELD COLOUR CODED FAIRING LOWERS,6 SPEED TRANSMISSION,STUNNING BIKE FINISHED IN ANNIVERSARY GUN METAL,MOT AND SERVICE HISTORY WITH NO EXPENSE SPARED. 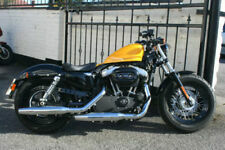 The bike is based in Kingston Sw London for viewing and test drive. It has now undergone a full service with new battery, oils and filters plus any issues have been sorted for the bike. CARDIFF MOTORCYCLE CENTRE - Visit us for a test drive - Call us on 442920102547 or click here to find out more. Type of motorbike = Tourer. Fuel type = Petrol. Engine size = 1690cc. FOR SALE at £9,500 OVNO. 2009 Harley-Davidson Road King Classic FLHRC. Stunning. Crossan Motorcycles Ltd - Check out our massive Online store TheVisorShop.com for all your biking needs. - Call us on 442830447093 or click here to find out more. 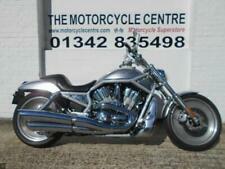 Cheapest New Road King in UK! 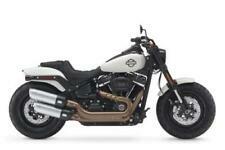 ManchesterHD - Visit us for a test drive - Call us on 441616944743 or click here to find out more.